As you may know, GSTR 9 is an annual return form that a regular taxpayer is required to file for his/her annual turnover. The form requires invoice details for inward and outward supplies as procured by the given business. 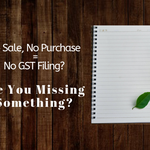 But what if no invoices were issued for any inward or outward transaction throughout the year, would a business be still required to file GSTR 9? 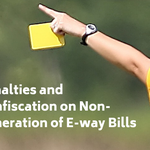 As the new provisions have been rolled out for E-way bill, it is important to fully understand the different rules to be completely compliant. This blog will educate you on howto be compliant and avoid any penalization. The ISD or Input Service Distributor is responsible to distribute the ITC to its sub-branches for the services utilised by them. However, there are some rules an ISD has to follow, for distribution of the ITC. 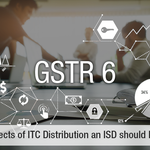 Here are 5 rules or aspects to be considered by the ISD while ITC distribution. 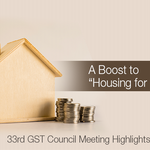 The 33rd GST council meeting was scheduled to be held on February 20th, 2019. However, state finance ministers requested a face-to-face discussion on special schemes for Real Estate Industry and issues in taxation system on lotteries. 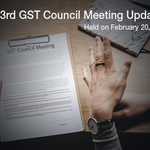 Thus, the union chairperson, Shri Arun Jaitley adjourned the GST council meeting until Sunday, the 24th of February 2019.